With the recent passing of Bernard Stollman at 85, I’m looking back over the catalog of ESP-Disk, his eclectic record label that became instrumental to the development of free jazz. I thought it would be fun to highlight a few gems that aren’t getting mentioned in other obituraries. During my time as KZSU jazz director, we were receiving some ESP-Disk reissues that were top-notch stuff and some new releases that excelled. But ESP was maybe a little too open-minded in its selections, because we got some albums, old and new, that fell flat, tripping over the line between glorious freedom and undisciplined chaos. I credit Stollman for giving the artists total control over their albums, but there’s a lesson in there about temperance. You can search the KZSU library here or here, two different and rather powerful search engines that put a lot of commercial efforts to shame. 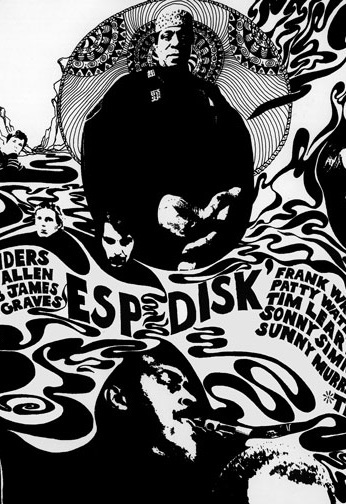 Because of the confusion over ESP’s ownership and exact name, KZSU’s ESP collection is listed mostly on this page, but a few titles (including Charles Manson’s) ended up on this page. The names on those pages brought back mostly forgotten old fuzzy feelings. Note that I have not taken the time to revisit all of these releases, so some of the memories might be fuzzier than others. 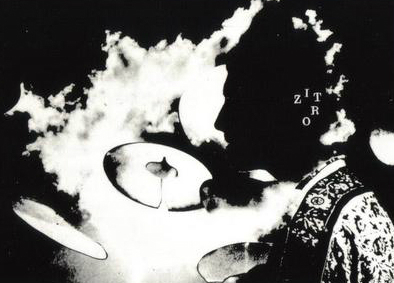 James Zitro — Zitro (1967) ….. In 1967, Stollman gave Sonny Simmons’ drummer, James Zitro, a chance to show what he could do as a leader, and the results were explosive. The album is essentially two long tracks. “Happy Pretty” is a loungy jazz number played at 78 and overrun by stampeding horns and some ferocious soloing. It’s a thrilling yet incongruous straddling of the old and new jazz worlds. The band tries maybe a little too hard here, but it’s a mix worth hearing. Sonny Simmons — Music from the Spheres (1966) ….. Along with Staying on the Watch, part of saxophonist Simmons’ great legacy and the start of a career that nearly derailed in San Francisco but has been back on track since. I wrote the Zitro entry assuming you knew Sonny Simmons, but if you don’t, start here. 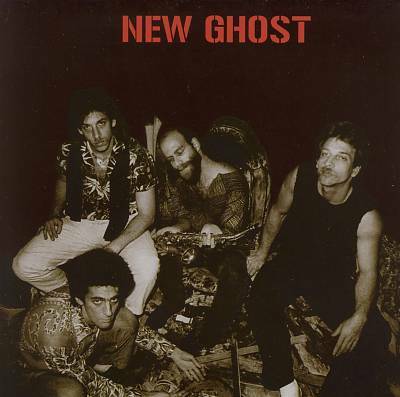 New Ghost — Live Upstairs at Nick’s (2006) ….. ESP documented some exciting, newer talent in the 2000s. This live set from Philadelphia-based New Ghost mashes together dirty street funk, free-jazz skronk, jam-band friendliness, “world-music” horns, cartoony poetry, and a great sense of theater and stage presence. At one moment it’s a glorious mess, then it’s a tight, clean groove. Stage banter completes the atmosphere. Don’t sleep on this one. Ellis Marsalis — Ruminations in New York (2005) ….. Scanning the ESP catalog, you frequently find yourself saying, “That guy? Really?” (The catalog is indeed 90+ percent male, but I also found myself saying “Billie Holiday? Really?”) Yes, a Marsalis is on the roster — Ellis, the patriarch, sitting down for some solo piano pieces that feel like casual journal-entries. Comforting sounds from an old cat who’s lived a good life. The music has the feel of jazz standards, but I remember considering that it all might have been improvised. It sounds like he had a lot of fun with this. Ornette Coleman — Town Hall, 1962 (1965) ….. Yes, everybody knows about this one. I’m cheating. But this was my first ESP album and my first full dose of Ornette. (A cursory listen to Song X in the ’80s doesn’t count.) I love the music, the sound of the Izenzon/Moffett trio, the fact that there’s a string quartet dropped in the middle of all of it — and the backstory, with Ornette having to fund the show himself. In fact, I think I’m going to go listen to it again right now. The psychedelic shimmer and haze of Rob Mazurek’s São Paolo Underground takes a deeper, spiritual meaning on Return the Tides, because the album is a tribute to Mazurek’s mother, who died two weeks before the recording session. Outfitted with a band he calls Black Cube SP — an expanded São Paolo Underground, notably adding Thomas Rohrer, who plays a Brazilian fiddle called the rabeca — Mazurek embarks on an epic cathartic journey. As a band, São Paolo Underground started out rather jazzy but embraced a fuzzier, noisier sound on its 2013 album, Beija Flors Velho E Sujo. On Return the Tides, that concept reaches a new level, a blast radius of distortion and chaos anchored in some spots by groove rhythms. Rohrer’s added muscle is certainly felt. He and keyboardist Guilherme Granado spout forth with guitar-style distortion while drummer Mauricio Takara bashes away, exorcising demons. “Oh Mother (Angel’s Wings)” opens with a pleasant riff that has Mazurek soloing not so much over it as under it, sheltered by the structure created. Later, the track builds to a powerful/terrible brightness, an outpouring for the emotions that lie beyond the reach of words. It’s the album’s most powerful moment. From there, the suite shifts to the fierce, almost celebratory groove of the title track, heavily rocking out. “Let the Rain Fall Upwards,” filled with reverse-playback noises, is a more abstract track, an abrasive, obstinate twist on ambient music. For the concluding track, “Reverse the Lightning,” Rohrer picks up the soprano saxophone for a manic solo against a more solid, tempered groove. 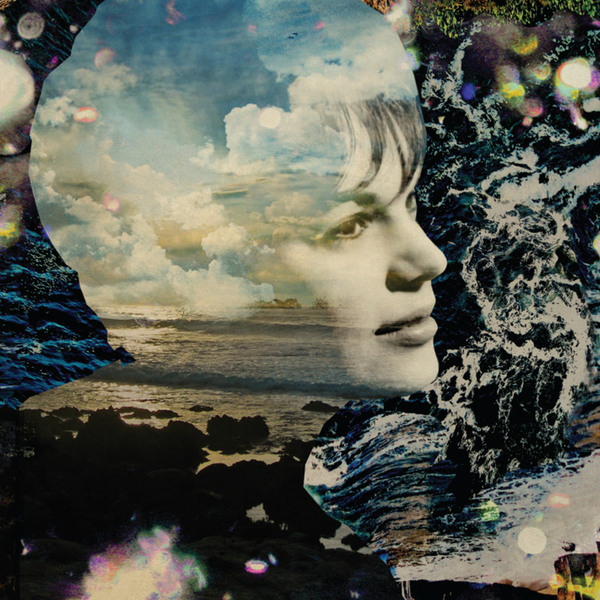 Mazurek’s cornet follows with a thick, echo-laden burst, a portal to another place. The finale is perforated by a long silence that eventually gives way to a ghostly drone accompanied by wordless singing. Return the Tides was recorded in one continuous take with the goal of leaving nothing behind. Mazurek says he felt “complete release and stillness” when it was done. Amid the tumult, Mazurek’s does shine through at times, his horn keenly piercing the dense thicket of sound, clearing the way for his mother’s passage to “the next,” as he refers to it. In that sense, Return the Tides has a honed, ritualistic purpose, and it succeeds. Photo: John Rogers, via ECM website. Tim Berne’s Snakeoil has released its third album on ECM and is backing it with a U.S. tour launching this week. There’s only one California stop, at the Berkeley Arts Festival (2133 University Ave, Berkeley) on Sunday, May 3. It’s too bad Yoshi’s is no longer an option. The club’s plush environs suited the sophistication and silences of the originial Snakeoil, especially the glassy foundation laid down by Matt Mitchell’s piano. The live act is more jagged than the ECM-polished version on disc, but it still worked really well in that club. Alas, in the time since Berne played there in 2012, Yoshi’s has become more of a pop venue. Berkeley Arts doesn’t have Yoshi’s acoustics, but it will provide a receptive crowd that won’t be talking over the music, and we’ll be physically closer to the band. For Berne, the economics might not be the same (actually, who knows; maybe they’re better) but it’s a good tradeoff for us in the audience. Ferreira also played quite a few of the shows at The Stone for Berne’s 60th birthday last year. Powerhouse saxophonists make good foils for Lords of Outland, the free-jazz group that’s been a vehicle for saxophonist Rent Romus for more than 15 years, possibly 20. Vinny Golia made his contribution on the Lords’ Edge of Dark, and it’s Josh Allen’s big tenor sound that adds a jolt to Lords O Leaping. Lords of Outland — now without Romus’ name on the cover — has explored the more ominous side of free jazz, often inspired by H.P. Lovecraft and the heavies of old-school sci-fi. Romus’ compositions often conjure images of gruff rebellion, but on many track’s it’s electric bassist Ray Schaeffer adding the dark shading, an ominous, liquid low end. “Miasma” is a slower track with Allen in powerhouse mode, ending his solo with long screaming notes. 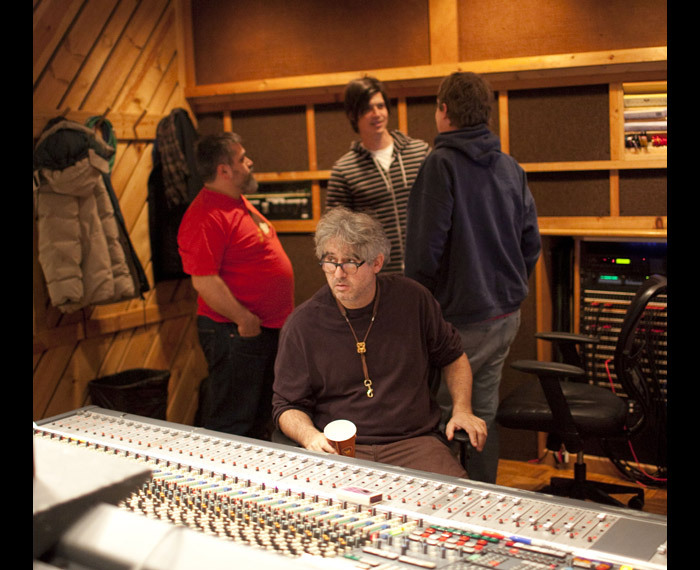 Allen also gets to show off some raspy volume in “Rhetoric,” a track that starts with some silky group improvisation. 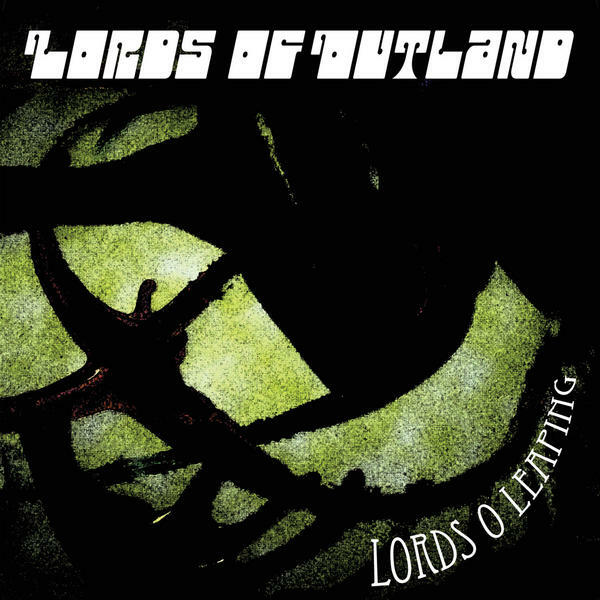 The Lords’ experiments with analog electronics figured heavily on previous albums, but the pedals and wires (probably performed by McCaslin, although Schaeffer gets a credit for them, too) are limited here to the track “Ara.” Amid the song’s gentle, even-handed setting, the retro bloops and buzzing play out as a solo against the bass and drums. Throughout the album, Phillip Everett’s drums keeps the energy level up, filling space with quick wrist snaps on cymbals and toms. Romus spends long stretches comping alongside Allen, but of course he gets turns showing off his own darting, agile playing as well. McCaslin’s fleet trumpet adds a steely touch to the sound, although she’s often drowned out by the saxophones. It all adds up to another nice entry from a long-standing edition of the Lords. 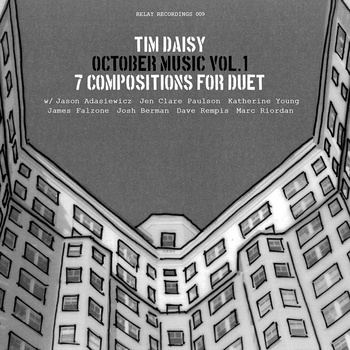 In addition to being a first-call free-jazz drummer on the prolific Chicago scene, Tim Daisy is also a composer. For October Music, he’s sketched duets to play with seven hand-picked partners, pieces seemingly built to play off their strengths. It’s got some serious moments but overall feels like an opportunity to just enjoy making some music with friends. Many of the sessions come in a jazzy vibe — especially “Writers,” a spirited free-jazz romp with Marc Riorden on piano. It quickly gets into a sprint, with Riorden’s knotted piano improvising racing against Daisy’s fleet, subtle drumming. The composed theme, when it emerges, is a skeleton staircase of rising notes, setting the stage for a second round of high-energy improvising. “Roscoe St.,” with Dave Rempis on baritone sax, seems like a nice reflection of Roscoe Mitchell’s many facets, a combination of burly, swinging saxophone and warbly experimental sounds. “For Jay” likewise slips through a few mood changes, from a sprited jazz-improv duet to a more careful space where James Falzone’s clarinet paints images of stillness against some astoundingly fast vibraphone — Daisy showing off some serious high-precision rolls on the sustained notes. Other pieces opt for a modern-classical sound. “Some Birds” features Katherine Young, who’s explored the outer limits of the bassoon. It’s a calm chamber piece with vibraphone, presented with care, as if you were watching the assembly of a delicate and carefully balanced structure. “Near a Pond” is a studious piece where Jen Clare Paulson plays some sad, folky melodies on viola but also gets a moment of scratchy, whispery experimentation, adding to the overcast feel. It all culminates with a surprisingly vibrant marimba solo. Vibraphone takes center stage on “For Lowell,” with Jason Adasiewicz at the hammers, playing bright, cool splashes against the palette of Daisy’s drum kit. “Painted,” with Josh Berman on cornet, is a reflective ending, played at a decently chipper clip but with lots of white space, created mostly from Daisy’s restraint on the drum kit. It’s not exactly sad, just very thoughtful.